PM-3. 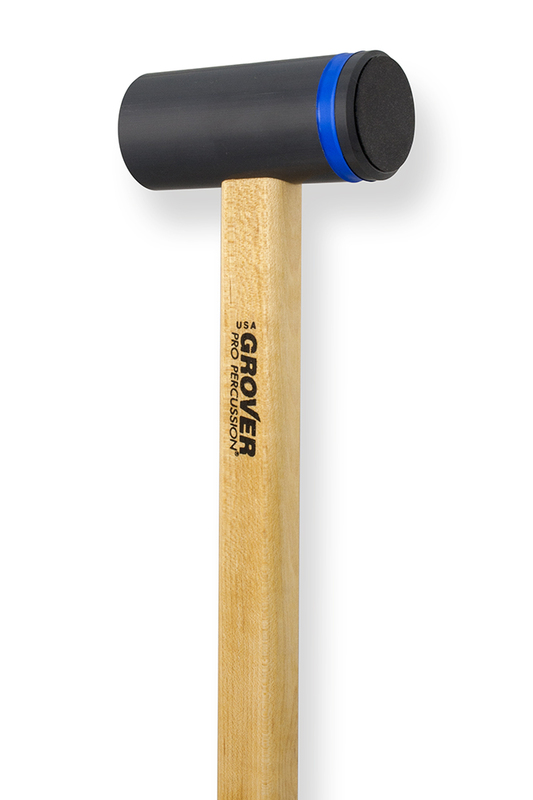 Grover chime mallets are the first mallets ergonomically designed for playing chimes. Playing chimes is difficult enough without having to worry about mallet head alignment. Unlike ordinary chime “hammers” with clumsy round handles, our mallets feature a flat handle, which ensures the accurate striking of chime tubes. Each mallet features a high-densisty PVC head with both a hard side for aggressive playing and soft side for subtle passages.